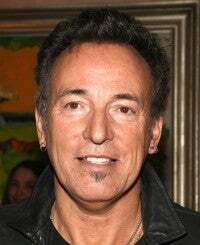 When you think of Bruce Springsteen, what’s the first thing that comes to mind? Maybe it’s the heartland rock music of your youth, or the E Street Band. Perhaps you think of New Jersey—heck, a lot of people do. But I have to admit I chuckle every time I hear that, because honest to God, I’ve only been to the place maybe three, four times tops. Crazy, right? You throw a few details about seaside boardwalks and Atlantic City into your lyrics and suddenly people start calling you Mr. New Jersey. But let’s see, I was there twice in the ’70s, once in the ’80s, and then I think I passed through on my way to Pennsylvania a few years ago—that’s it. Which is not to say I don’t like the place. It seems okay from the little I’ve seen of it, but nothing special, you know? I’ve always been more of a sunshine and palm trees kind of guy myself. You see, the whole New Jersey thing really started off by accident. Growing up the son of a cinematographer in a comfortably middle-class Los Angeles suburb, I didn’t know the first thing about the best drag-racing back roads on the Jersey Shore or the gritty factory towns up and down the New Jersey Turnpike. Back then I was too busy working on my tan and surfing every day to care about the economic struggles of union folk, let alone the crude, workaday laborers from northern New Jersey whom people seem to associate me with. But that all started to change in the summer of 1972, the first time I ever stepped foot in the state. I was in Cherry Hill visiting my aunt, and something about a song I was writing at the time—one about riding my scooter through West Hollywood—just wasn’t clicking. Then it occurred to me: Why not set the thing right there in New Jersey? It seemed crazy at the time, but I figured what the hell. On a whim I pulled out a map, picked some dinky road in the middle of the state, and half-jokingly scribbled, “At night we ride through mansions of glory in suicide machines / Sprung from cages out on Highway 9.” Those words later became “Born To Run.” Maybe you’ve heard it. After some more research, lyrics I’d written about Beverly Hills were changed to some backwater place called Freehold, Santa Monica Boulevard was switched to Thunder Road, and my dad’s agent Armand became Crazy Janey. Easy as pie. By the end of that weekend, I had cranked out enough material to fill both Darkness On The Edge Of Town and The River. And let me tell you, all you have to do is mention any old ocean-side carnival ride or pull the name of one blue-collar bar out of the North Jersey Yellow Pages and New Jerseyans will lap it right up and claim you as one of their own. It’s kind of pathetic, actually. Now I can’t go anywhere without people asking me things about New Jersey as if I were some sort of authority on the place. For the record: No, I don’t know the best place to eat in Asbury Park. I only named my first album after that city because I liked the way it sounded. No, I don’t know how the Devils are doing this season. No, I don’t know the fastest way to get from Long Branch to the Parkway. Frankly, I don’t even know what the Parkway is. As much fun as I’ve had with this whole Jersey thing, I have to admit I’m growing a little tired of it and am looking forward to delving into some new territory. In fact, I’ve got an album in mind about the everyday lives of theme park employees in the Orlando area. I’ve always loved that part of the country. The tropical breezes, the stucco houses—it really sums me up in a nutshell. So keep an eye out for Florida Dreaming in 2013. I’ll be the first to admit that while I know little to nothing about New Jersey—aside from the fact that I sure as hell don’t want to live there—my career has gotten a lot of mileage out of the state. But I still can’t wipe the smile from my face when I think that millions of people will always picture me barreling down a Jersey Shore avenue in a vintage Chevy, windows down, the wind in my hair. Maybe I’ll try that someday if, for God knows what reason, I’m ever back in that part of the country. Like, if I have a long layover or something. It’ll have to wait for a while, though. At least until someone teaches me how to drive.